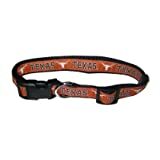 Petgear Dog Seat Belt. Keep your Best Friend as Safe as All Family Members. Simply Clips onto your Dog’s Harness and Straight into the Seat Belt Clip. DO NOT CLIP ONTO THEIR COLLAR! If you have to stop suddenly, it could SAVE LIVES – Yours and your Dog’s. 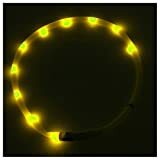 1.Adopts high quality modern LED lights¨COne of the most effective high visibility dog safety collars available. 2.One size fits all:this collar with a measurement of 70cm an be cut to any length using scissors to fit your pet. 3.3 Light Settings-quick flash(first press),slow flash(second flash) & steady glow(third press). 4.Rechargeable via Micro USB – Can be charged via Phone Chargers, Laptops,PC’s,tablets,Smart TV’s and other mains USB Power Adapters. (Note:Please make sure the switch is off when the tube is in charge!). Weatherproof-good for all conditions,adjustable and comfortable for your dog. 5.Safety First,it makes your dog more visible at night and in low light conditions,then you don’t need to worry about that your dog will get lost. 4.Finally, connect the collar and press the ON/OFF button, you can find your pet easily even at dark. 100% Nylon and steel D-ring durability.